It’s nearly February 14th and hopefully that won’t mean you seeing red in anger! If you’re not all that impressed with the commercialism of Valentines then this post will probably not be that much of interest but hopefully you’ll stick around to see that sometimes it’s nice to remind the special people in our lives how much we love them. I should of course say that every day is special with Mr M and that we do treat each other every now and then ‘just because’ but Valentines brings back memories of my marriage proposal some six years ago and for me romance is incredibly special. 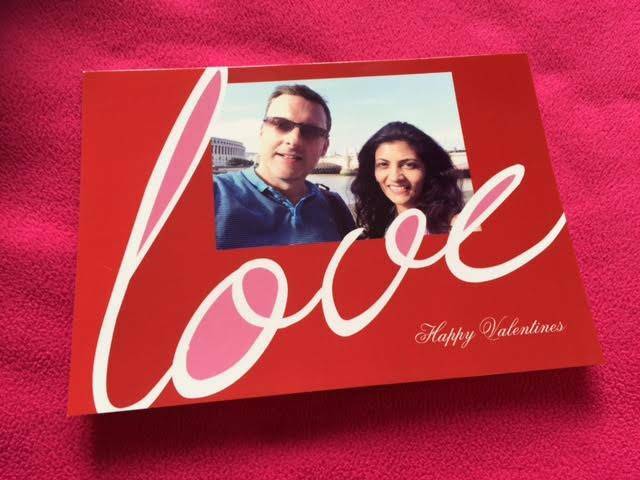 When Snapfish contacted me recently to see if I would like to create some personalised photo gifts from the Valentine’s range this hopeless romantic said yes of course. Over on their site there are endless possibilities for product customisation and of course the gifts are unique to you. The items were delivered really quickly and I was impressed with the quality. I chose the above card from many designs on offer. 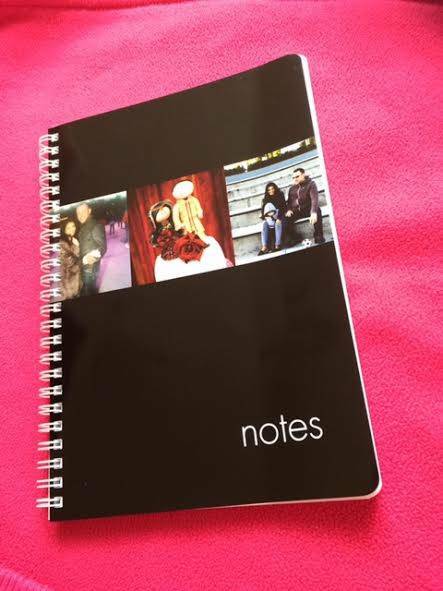 The notebook that I ordered and I’m not talking about the heart wrenching romance of 2004 I hope will make Mr M smile as it has three photos that are very special to me. The first being the very first photo we ever had taken of us on our second date seven days after we met. The second photo was of our wedding cake topper based on us and the third photo is our most recent family photo taken of us in California. 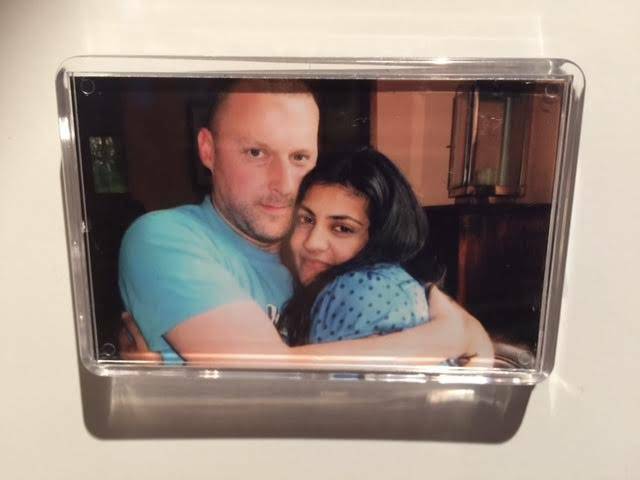 These days so many items can make personalised to make photo gifts so if you are stuck for ideas take a look for yourself as there is still time to gift your other half with a little something perhaps? 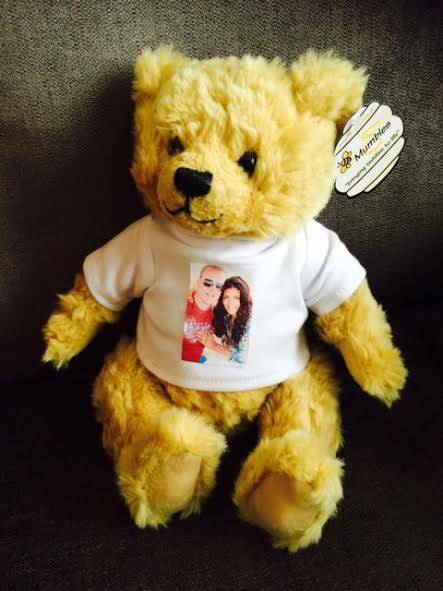 I adore this teddy bear which with a photo of us taken on our first holiday to Ibiza. I have a feeling Jay is going to look after this special bear for us. Celebrate the love for each other every day, with small tokens of appreciation and gratitude. Time to bring those photos sitting on your phone or electronic device to life! Hope you have a great time whatever you choose to do.